At Lakeland Kitchens we craft, supply and install kitchens and bedrooms for you and your loved ones to build memories around. Based in the breathtaking English Lake District, we are a longstanding family run business delivering unparalleled service from the first CAD design through to fitting and finishing your installation. At Lakeland Kitchens we make dreams a reality, offering our beautifully designed kitchens to customers in Kendal, Lancaster, Windermere and across the Lake District. We are proud to be one of a few exclusive retailers of Leicht & Burbidge Kitchens ranges within the UK. 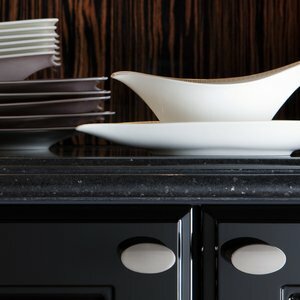 We have gone to great lengths to handpick from a wide range of supplier's products that we feel offer outstanding quality and versatility to enable us to plan and design a kitchen of your dreams without the need for compromise. 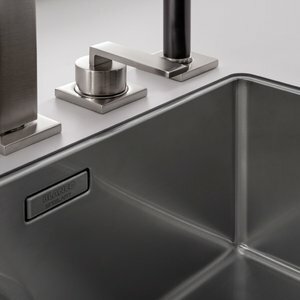 We also deal with well-known household names such as Franke, Siemens, Silestone and are privileged to be NEFF premier dealers. So whether you are looking for a minimal contemporary space or a welcoming family environment we promise to deliver you your own little piece of heaven. 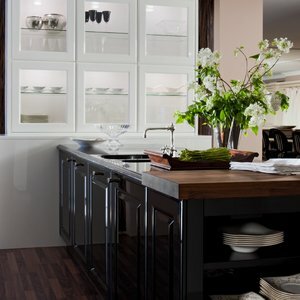 We have a excellent range of kitchens that are designed with you in mind such as our traditional and painted kitchens. 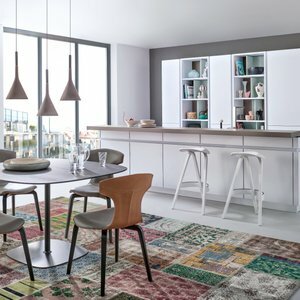 View some of our stunning kitchen ranges below, or come to our award winning Kendal showroom to discuss your dream project with us. For more than 80 years now, LEICHT has been causing a stir manufacturing premium kitchens from their factories in Germany. Producing clean lines, clever lighting solutions and internal fitments that add that enviable wow factor, this product never fails to impress. 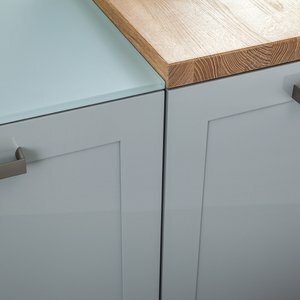 Since 1867 Burbidge have been working with timber; shaping, carving and crafting it into things of beauty, so this clearly was an obvious choice for us, supporting a long standing British company who have the knowledge and experience to offer some of the best quality kitchen doors in the industry. In spite of problems like walls that were far from straight, and which were very selective about where they would accept fixings, the job has been done to an excellent standard and totally lives up to the statement "installation is everything".